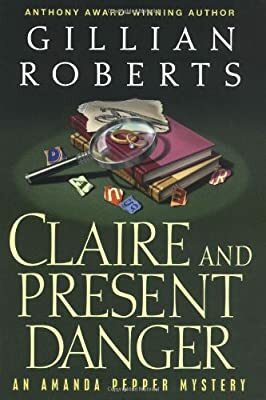 Author: Roberts, Gillian Set In . . . Description: In the City of Brotherly Love, nobody knows a thing about Emmie Cade, a young widow who “appeared from nowhere,” and in the blink of an eye was engaged to Leo Fairchild, a middle-aged bachelor with a fortune. However, as her marriage date approaches, Emmie’s mother-in-law to be, the ailing, autocratic Claire Fairchild, receives anonymous letters. They suggest, none too subtly, that there’s a great deal to learn about the mysterious young woman, none of it good, and much of it involving the violent deaths of the men in her life. Enter Amanda Pepper who, after completing her day of teaching English at Philly Prep, now moonlights as a P.I. along with C.K. Mackenzie, former homicide detective, current graduate student at Penn. The two of them are hired by Mrs. Fairchild to find out who the charming but evasive Emmie Cade really is. At thirty-two, the young woman has changed her address and name more often than some women change nail polish—and deliberately or not, she’s provided no clues or access to her past. For Amanda, becoming C.K. Mackenzie’s investigative partner is an exhilarating change from the politics and problems of the new school term, and a welcome distraction from the ordeal of meeting her own prospective in-laws. She’s determined to prove herself an able investigator by ferreting out Emmie Cade’s secrets, but almost immediately, instead of looking at events of the past, she’s forced to deal with the here and now—including murder.